One of the last holdouts, AC/DC, is now listing its music on Apple’s market leading online music store. The band, which has sold more than 150 million records worldwide over a nearly four decade career, joins Kid Rock on iTunes who also recently ended his own time wandering in the digital wilderness. However, neither act is yet offering their music on Spotify or any of the streaming music services. The BBC, among a host of others, is reporting that Australian hard rockers AC/DC has released their music on iTunes. For years, the band refused to offer their songs, insisting that only albums be sold, something that violates Apple’s rules. If Yes, Rush, Jethro Tull or any number of art/prog rock bands had said that, well, it would be understandable. For AC/DC to take that stand, it seems more than a little quixotic. 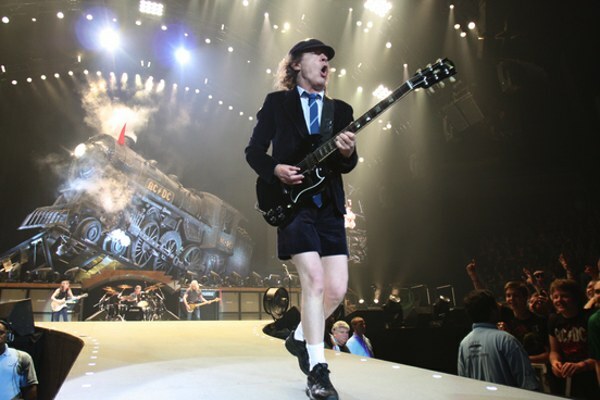 Nevertheless, AC/DC is offering its music on iTunes while still turning up their noses at Spotify, Rdio and Pandora. Should AC/DC and the other streaming service refusniks — like Adele, Coldplay, The Black Keys and Tom Waits — list on Spotify et al? At tenths of a cent per play, is Spotify even worth their time?